This is a full King Pin Service Kit for F-50 axle. 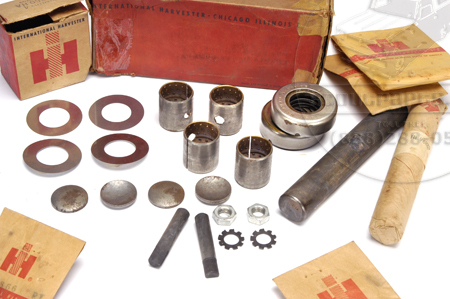 It is complete with bushings king pins, draw pins, draw pin nuts, shims, thrust bearings and caps for the king pin bore on the knuckles. 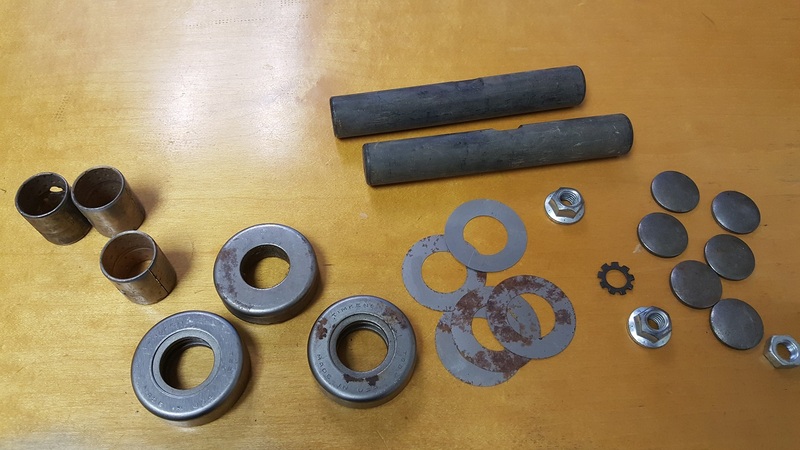 I also have one of these kits with .015 oversized King Pins to get a nicer fit in a worn out axle beam. If Your not sure what you have, take it apart, before you call, we will need your King pin diameter(to the thousandth of an inch) and your King pin length. We do have some bushings for the other axles, and a few different King pin shafts.